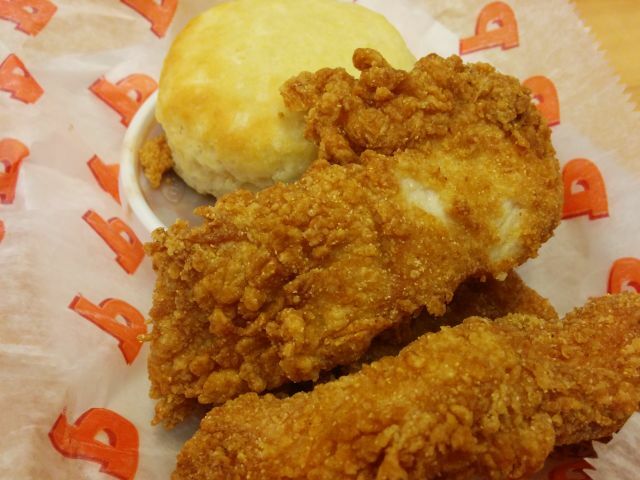 Popeyes' Southern Fair Tenders feature chicken tenders marinated in Louisiana seasonings, dipped in a "traditional, lightly southern sweet cornmeal breading, and then deep-fried. For $4.99, I got three tenders, a side, and a biscuit. I had a bit of trouble getting a hold of these as my local Popeyes ran out of the batter on my first two visits to try them. I ended up trying these in a different city. 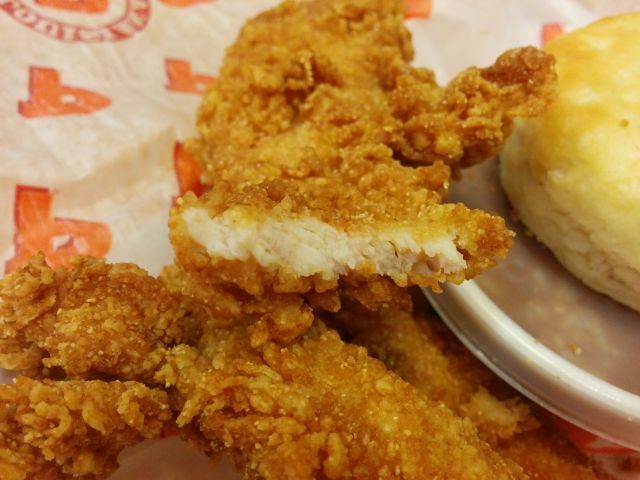 The breading was less flaky than Popeyes' regular tenders with a finer, bumpy texture that was still pretty crispy. Flavor-wise, there was a definite corn meal note to it as well as a light sweetness. It's basically corn dog batter with a fried chicken texture. The chicken itself was only lightly seasoned and doesn't really bring to mind "Louisiana seasonings." The cut of the chicken was quite thin but it was still reasonably juicy. They didn't have the new Wild Honey Mustard sauce that's supposed to go with these so I ended up getting their Mardi Gras Mustard instead. If you've never tried it, it's got some strong mustard notes to go with a sinus-clearing horseradish effect and just a hint of sweetness. It went pretty well with the chicken. 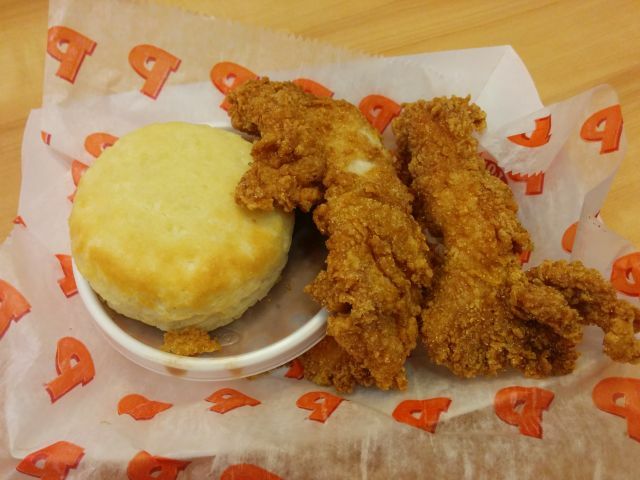 Overall, Popeyes' Southern Fair Tenders were pretty enjoyable but not quite crave-inducing. It reminded me a little of their previously offered Chicken Waffle Tenders with an added corn meal component.